Pioneer Spray Park â€“ Come down to the big turtle shell and have some prehistoric fun with our parkâ€™s one-of-a-kind dinosaur design. Run through the water tunnel, shoot the dino cannons, or stand face-to-face with the dinosaur. With over 60 different spray nozzles shooting out water, you are sure to get wet. The spray park is unsupervised. 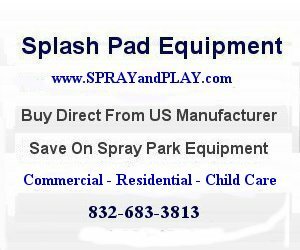 This entry was posted in South Dakota and tagged Pioneer Spray Park, Sioux Falls, South Dakota, splash pad, spray park, water vortex, waterplay. Bookmark the permalink.